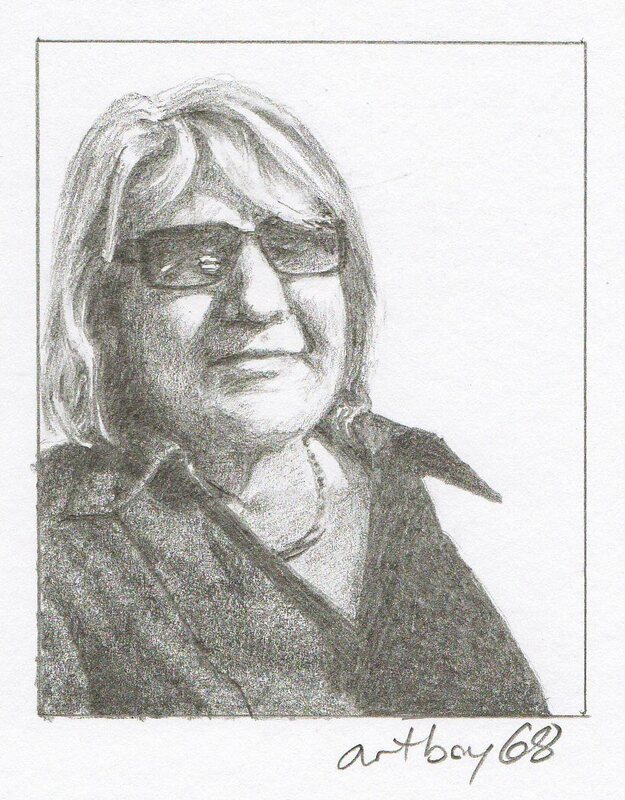 Annie Strack, pencil, 2 3/8" x 3"
Annie Strack’s profile on Twitter reads thus: Maritime Painter, Writer for Professional Artist Magazine, Artist Workshops Instructor, Official Authorized USCG Artist, Author, Art Business Consultant. This is portrait 40 of 100.… don’t forget to leave a comment if you want me to draw you. Go here to see previous portraits, or learn more about this project. To enter to win the 100th portrait (acrylic painting) go here. that’s too good! very well done.